1. Готье СВ. Сахарный диабет I типа, диабетическая нефропатия: возможности трансплантологии // Вестник РАМН. 2012; 1: 54–60. Gautier SV. Type 1 diabetes mellitus, diabetic nephropathy: transplantology potential. 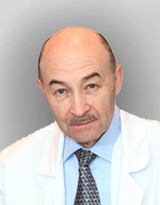 Annals of the Russian academy of medical science. 2012; 1: 54–60. 2. Peyser T1, Dassau E, Breton M, Skyler JS. The artificial pancreas: current status and future prospects in the management of diabetes. Ann. NY Acad. Sci. 2014 Apr; 1311: 102–123. doi: 10.1111/nyas.12431. 3. Maglione M, Ploeg RJ, Friend PJ. Donor risk factors, retrieval technique, preservation and ischemia/reperfusion injury in pancreas transplantation. Curr. Opin Organ Transplant. 2013 Feb; 18 (1): 83–88. 4. Feng S, Goodrich NP, Bragg-Gresham JL et al. Characteristics associated with liver graft failure: the concept of a donor risk index. Am. J. Transplant. 2006 Apr; 6 (4): 783–790. 5. Gruessner RW, Gruessner AC. The current state of pancreas transplantation. Nat. Rev. Endocrinol. 2013 Sep; 9 (9): 555–562. 6. Stratta RJ, Bennett L. Pancreas underutilization according to united network for organ sharing data. Transplant. Proc. 1998 Mar; 30 (2): 264. 7. Vinkers MT, Rahmel AO, Slot MC et al. How to recognize a suitable pancreas donor: a Eurotransplant study of preprocurement factors. Transplant. Proc. 2008 Jun; 40 (5): 1275–1278. 8. Woeste G, Moench C, Hauser IA et al. Can the preprocurement pancreas suitability score predict ischemia-reperfusion injury and graft survival after pancreas transplantation? Transplant. Proc. 2010 Dec; 42 (10). 9. Axelrod DA, Sung RS, Meyer KH et al. Systematic evaluation of pancreas allograft quality, outcomes and geographic variation in utilization. Am. J. Transplant. 2010 Apr; 10 (4): 837–845. 10. Marang-van de Mheen PJ, Hilling DE, Dirkes MC, Baranski AG. Surgical injuries of pancreatic allografts during procurement. Clin. Transplant. 2011 Sep–Oct; 25 (5): 737–743. 11. Schneeberger S, Biebl M, Steurer W et al. A prospective randomized multicenter trial comparing histidine-tryptophane-ketoglutarate versus University of Wisconsin perfusion solution in clinical pancreas transplantation. Transpl. Int. 2009 Feb; 22 (2): 217–224. 12. Drewitz K, Loss M, Loss J, Apfelbacher CJ. Predictors of non-transplantation of adult donor organs – an observational study using routine data from Eurotransplant. BMC Health Serv. Res. 2014 Nov 25; 14 (1): 584. 13. Loss MI, Drewitz KP, Apfelbacher CJ et al. Why offered pancreases are refused in the allocation process-a descriptive study using routine data from eurotransplant. Transplantation. 2013 May 15; 95 (9): 1134–1141.